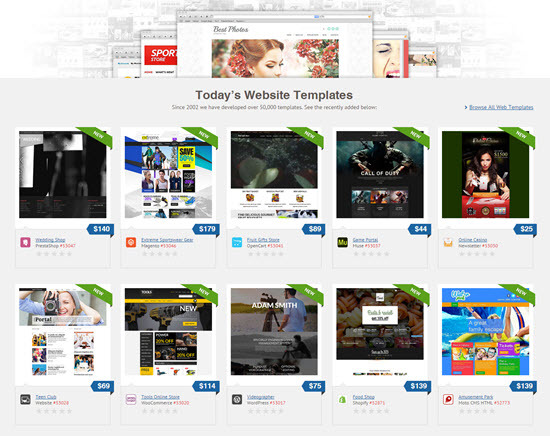 TemplateMonster is one of the largest template providers there are today. With an active portfolio of more than 45,000 designs, it’s no exaggeration to call them a giant. Did you know that they add between 450 and 500 new designs each month? And after more than ten years in this market, it is no exaggeration calling them a veteran either. 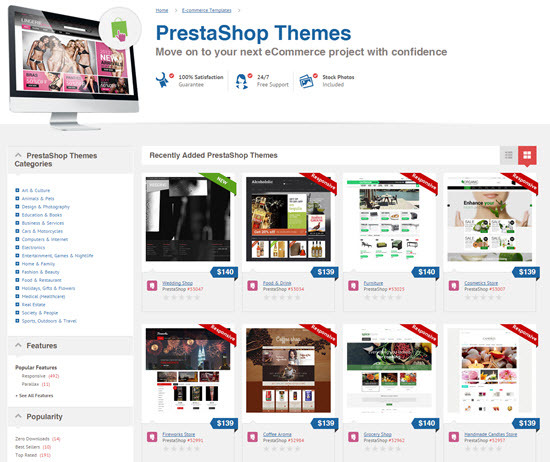 Considering that you can grab yourself themes for WordPress, Joomla, Prestashop, Magento and Moto CMS as well as Website templates, responsive and not, to name only their bestselling offerings, they can rightfully be called a one-stop shop for everyone looking for a ready-made design to base his own upon or to use it as is..
It’s well worth a separate mention that TemplateMonster features more than 150 parallax WordPress themes to choose from. Parallax is one of the biggest trends in design since last year. Cut a long story short, there’s no doubt that anyone will be able to find one or more perfect dream templates for the next project in this massive repository. This is where Noupe comes into play. 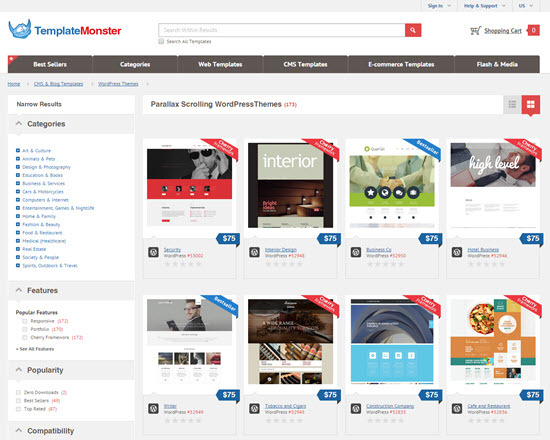 After our review of TemplateMonster, we already hosted a giveaway of WordPress themes here. Today we will not limit you to any section, CMS or whatever. Just choose your template freely from all the available offerings and – with a little luck – receive one of the ten Single Site Licenses. I would use template 43186 for my aikido club’s website, it needs a refresh quite badly. I’d like to win the template Nr. 52957 for a friend of mine who wants to start a new small eCommerce-business. If I win, I would choose template number 44938 to give my blog a new shiny look. I’d like to win template 53025. I template #51080 will make a great gift to my wife’s blog! I’d like to win Template #52962. Nice post for those who are looking for a ready-made solution. I personally avoid the use of templates because I think that the time and finally the cost for customizing them to your needs is ultimately far higher than to make something from scratch. I would like to win #53012 to do a website for a buddy’s car repair shop. Hi, I’d like to win #53112. Thanks for the giveaway! 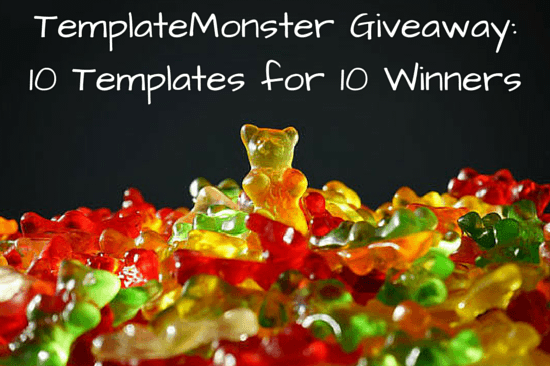 I would like to win this templates http://www.templatemonster.com/demo/52425.html for my friends website. its nice template then will customizing the template. 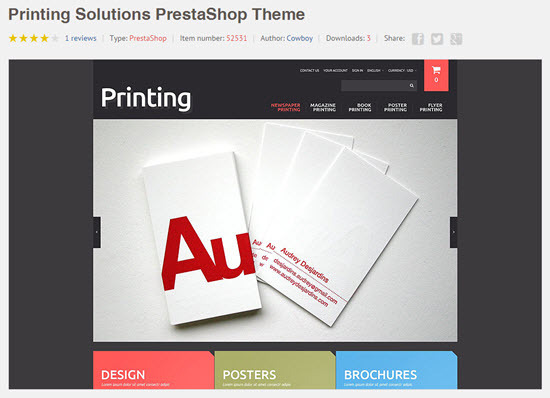 I did like to win this template http://www.templatemonster.com/demo/52425.html its nice. shooting for #52901. will use it for own newsletter campaign. cheers, noupe1!1! I would like to win Template #53135, currently looking for a Template for a store. #52029 would be a great template for my recently started one-man company. I’d like to win Template #53096. Thanks for the giveaway!